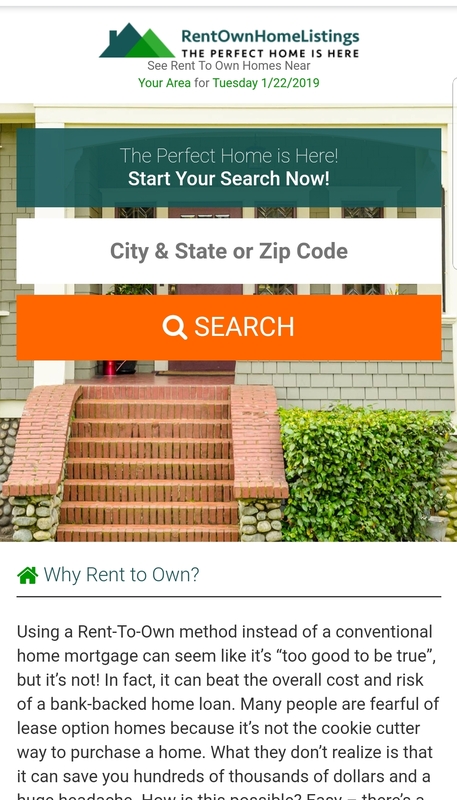 RentOwnHomeListings.com - Property Listing - Freebies, Deals, & Cash! If you’re looking for a rent to own home, check out RentOwnListings.com. The listing is updated daily, with new properties, and taking off properties that are no longer available. You can access properties by location/zip code, & includes full details of every property listed. First, Go to their Website. Type in your current zip code. Then, you’ll be asked for your Name, phone and email. You can search the listing by the desired size of the home, bedrooms, bathrooms, school district, etc. You can continue to change the criteria if needed. Interested in checking out the listing in your area? ← Two FREE Sasmar Personal Lubricant Samples!